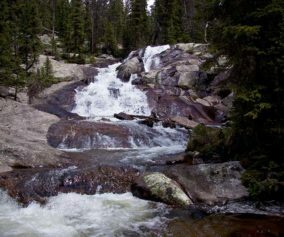 Black Lake Falls cascades down the towering granite cliffs above Black Lake in Rocky Mountain National Park. This trail through Glacier Gorge takes hikers past multiple sub-alpine lakes and several waterfalls. 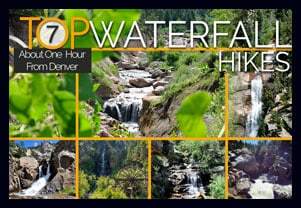 It’s a demanding, 10 mile, round-trip hike with significant elevation gain in the heart of RMNP. 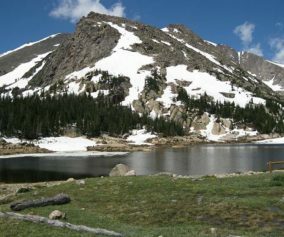 Black Lake Falls is located on the cliffside above the western edges of Black Lake and is best viewed from the boulder strewn shores of Black Lake. 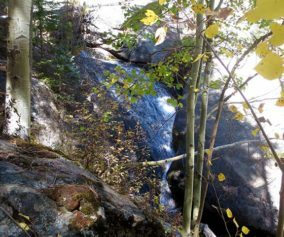 In the photo above, you’ll be able to distinguish the stream of the falls cascading over grey granite cliffs. 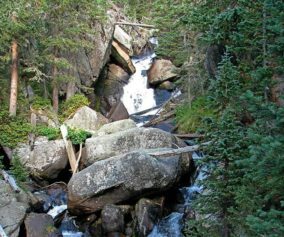 For a detailed description of this journey to Black Lake Falls, explore our full trail profile on Black Lake. 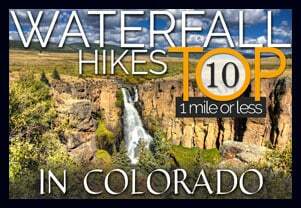 Below you’ll find a list of some of the other destinations in the Glacier Gorge trail system. 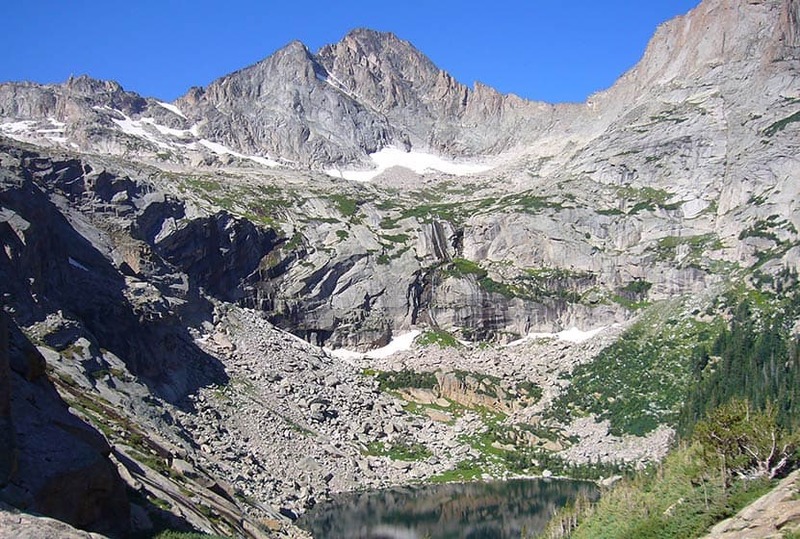 Start Early: The hike to Black Lake and Black Lake Falls is challenging and hikers will want to begin early to avoid being in this exposed area when afternoon thunderstorms often tear through the area in Summer. Trekking Poles in Spring and Winter: Because the trail is high in the mountains, the snow and ice can hang around into late Spring and even early Summer, then pick up again in the Fall. 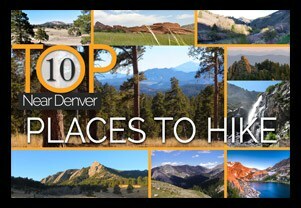 Because of this, we recommend Trekking Poles and/or Traction Devices for this trail when the trail conditions are such. Parking: If the parking lot is full at Glacier Gorge Trailhead, there is a shuttle available to take you to the trailhead, or you can park at the Bear Lake Trailhead. Rain Gear Recommended: On every occasion I’ve been into Glacier Gorge, it’s been gorgeous weather–and it rained. So, bring Rain gear. In the summer months, thunderstorms can form quickly in this area, especially in the afternoon–just another reason to begin your hike early. Photo: We would like to express our gratitude to Martin Braveboer for sharing such an amazing photograph of Black Lake and Black Lake Falls.